It’s our cap! Take it back! I wrote this a while ago. I am still working on completing the whole of the working for this book that feels like has been taking forever. I have been told that I need to be careful writing it for my own well being. Not that I am in physical danger for this work, but I need to be emotionally safe and not re-trigger myself as I write it. With Trump wearing a red hat and “making America great again” I have been poked at several times just to post this small portion to “take back our red cap.” So okay…. In many fairy tales, a red cap is worn by fairy creatures of all stripes, including the merrow. It not only identified them as fairy creatures, it was a means of protection for them as they strolled through the human world. As a survivor, you are also vulnerable in manners you have yet to realize and admit to yourself. You feel alone and you are probably questioning who your friends really are. You are wondering is Marjory really my friend or is she reporting to my abuser? Stop it. Your real friends will show themselves. Here is where the fun begins. Go to a thrift shop, a Salvation Army, a Good Will, or even if a friend or sibling who asks you what you need and want include a red cap in things like lawyer, a place to stay, a ride and a friendly ear. People will come out of the woodwork to help you. My sister, bought me my red cap. 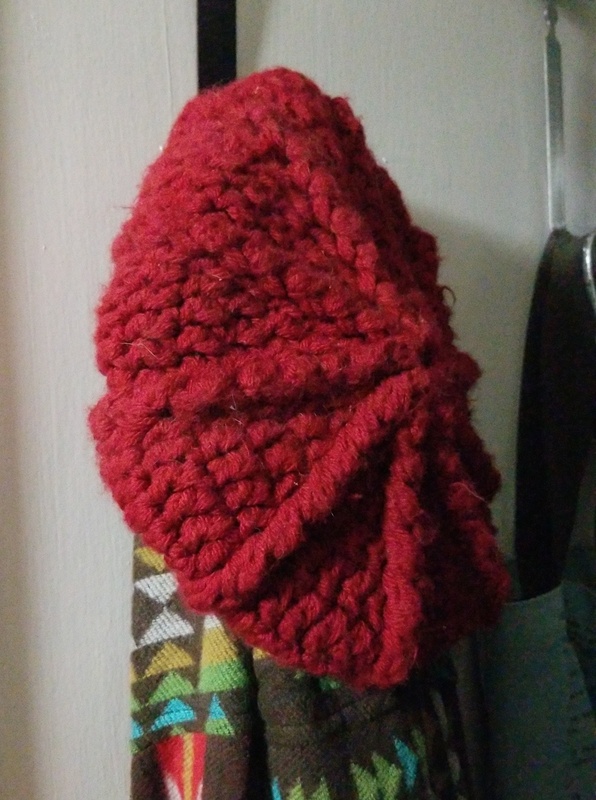 I wear it almost every time I leave the house, even as the heat is getting turned on out here in the desert, I call upon the protective energies of the fairy cap. Trust me, it is a potent will and far more effective than just a piece of paper known as an order of protection he can walk though. That order of protection will enable law enforcement to arrest your attacker should he be so bold, so do not neglect that aspect of your protection. Once you have the red cap in hand focus for a moment on the things he has done to you with it in hand. Do not go too deep, only deep enough to make you mad. You want to infuse the cap with specific energies so those who come to your aid know what to defend you from. While I was focusing on these things with my cap in hand, I was interrupted at this point with a visual of my ancestors, mighty and beloved dead, and fairy folk friends coming to my service. Since you may not, at this point have fairy friends yet, let’s go get you one. You will need to calm yourself. Yes I know, I just asked you to get mad. Now I am telling you to still yourself. I know this seems paradoxical, but it is part of a process that will help you deal with your toxic sacred king in the future if you must. He will do everything he can to get a reaction from you to hook you in for more abuse. He will be desperate to reassert his control of you through whatever means he can manifest and anger is the first button they like to push right next to guilt. You must be able to go from mad to calm of your own will. Breathe deeply and slowly from the belly. It will feel awkward at first because when you are abused in the manner you have experienced your breathing becomes shallow from fear and anxiety. Focus on the crown of your head. This is where you and divinity become one. This is where the conversation between you and the Gods first occurs. See this part of you as a flower. Allow it to unfold and slowly spin deosil, clockwise. You will begin to notice that all around you is a bluish mist. Breathe this in. It is the life force as it emanates from the fairy realms. It is all around you all the time from every living corner of the universe. As you breathe this in, allow everything it touches to relax fully. Let this energy come into you, fill you, and relax you until you feel the urge to move forward. You will know this moment. You will get the idea that you know where you are going. Trust that moment and move forward through this thick mist inspite of the fact you cannot see the path or a way through it. As you move forward you begin to notice that the mist grows thinner with every step and you are walking into an old growth forest. Take note of how the light strikes the forest floor, the plants, the small creatures in the underbrush, but keep moving. As you are walking, you notice that the path splits. One path goes right, another goes left. Go left. As you walk here, the trees thin and the light grows brighter. The path opens to a grassy meadow of perpetual spring. At its center is a mound and you walk around it. Continue walking around it until you find a door. Knock three times upon this door to announce your presence and go in. It is dark and smells of moist rich earth here. Be still for a moment and allow your eyes to adjust. Notice that there is a staircase going down. Many feet have walked these stone stairs before you. Go down the stairs to find at the bottom another ancient door. You open the door and the light rushes in. Everything is clear and crisp. There is a meadow of perpetual spring before you and it draws you to its center. Stand tall at the center of this meadow and give your name and tell the beings in hiding that you are in desperate need of help. I assure you, they see you and hear you. Ask politely for a helper and fairy advocate to your cause. Explain your cause then sit patiently for someone to step forward. Do not be surprised by your guide’s appearance. Fairies do not always look like Tinker Bell. Introduce yourself politely and explain your situation. Listen to what the fairy guide has to say. S/He may have a gift for you or not; accept it graciously. Before you leave ask your fairy advocate to bless and charm your red cap for protection for you and those around you. When you are ready, say thank you and leave the way you came all the way back into the mist. You can return to your fairy meadow anytime you wish, whether it is to ask for advice or to just relax and visit your friend. It is important to remember that you use common sense when dealing with fairies, for their sense of justice is not the same as ours. It is also important to use your finest manners and sense of respect. They can do things we cannot. I like to leave fairy offerings of honey mixed with milk over night outside for them to enjoy. Butter is also a favorite offering and anything boozey. This is not an every night affair only on special nights when the moon is full or when a small victory for me and my children happens. Saying thank you out loud when you feel your fairy friend is near is also a greatly appreciated gesture. bring to me my friends. I roll this chant softly under my breath until there is a glowing warmth at my center and allow that warmth to travel from my belly, into my arms, and release it into the cap. I have found in my wanderings that the cap becomes a beacon to those who feel the need to keep me safely close. You have to remember that while you are going through these trials your loved ones are going through this trial too and they feel almost as much anxiety about this as you do. Their need to be able to see you to keep you safe is important to them. I have been located many a time by my father simply asking: “ Have you seen a woman wearing a red cap?” Do not make the mistake of thinking that this red cap will point you out to everyone. It has been fairy-blessed and as much as it can point you out to friends, it can act as a blinding shield to your foes.